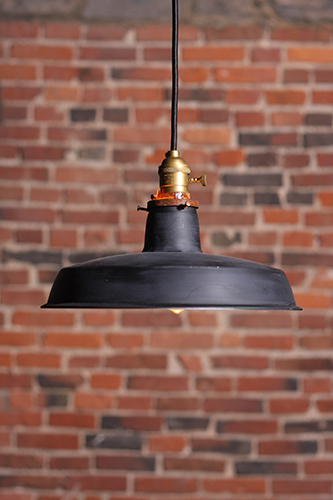 The Griffintown pendant lamp is inspired by the 1900s and Montreal. 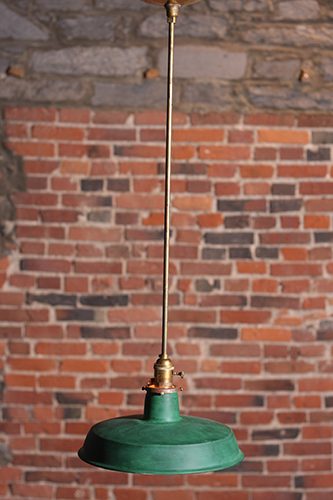 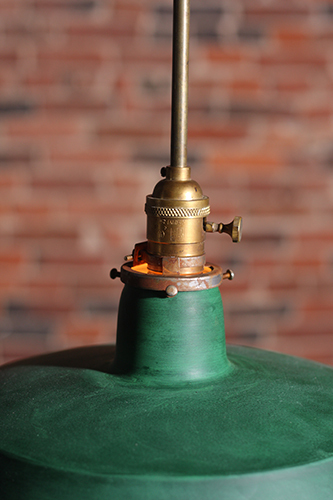 The lamp is hand made in Canada , not far from the Griffintown neighborhood. 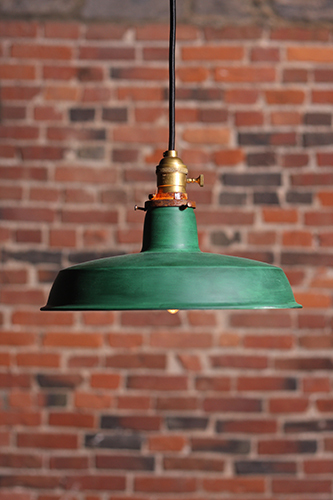 We use new parts to which artisans painstakingly add patina to all the parts, including the painted shades, to give a authentic vintage industrial feel. 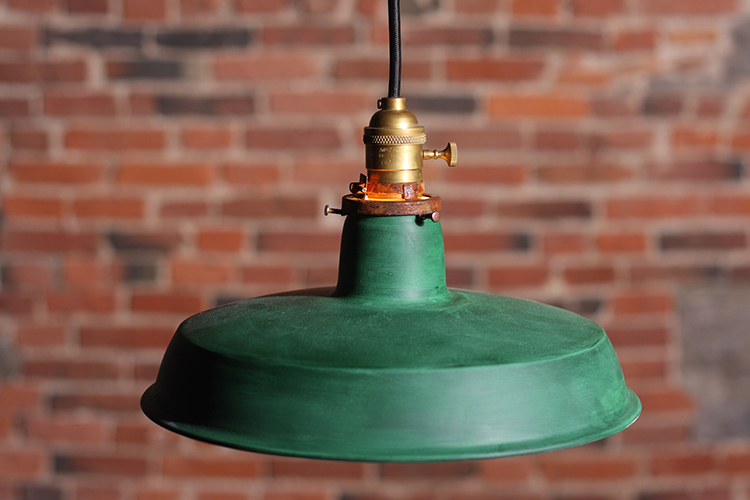 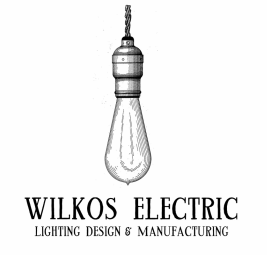 This large shade is perfect for using regular sized light bulbs or vintage Edison bulbs.